286Blue named the new brand Stradd, essentially an abbreviation for STReet ADDress, created the logo & brand identity, registered the domain and social network names, and hosted the site. 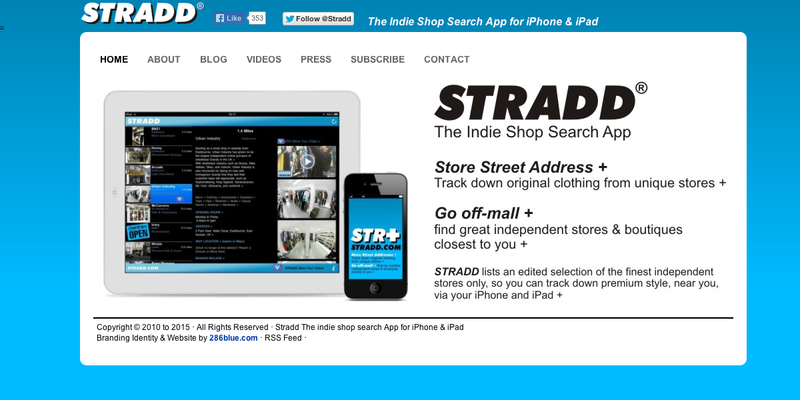 286Blue filmed and edited the Store Tour videos that accompanied the iPhone & iPad App. 286Blue created the graphics and music for the videos that were shared on social media as well as viewable within the Stradd app.